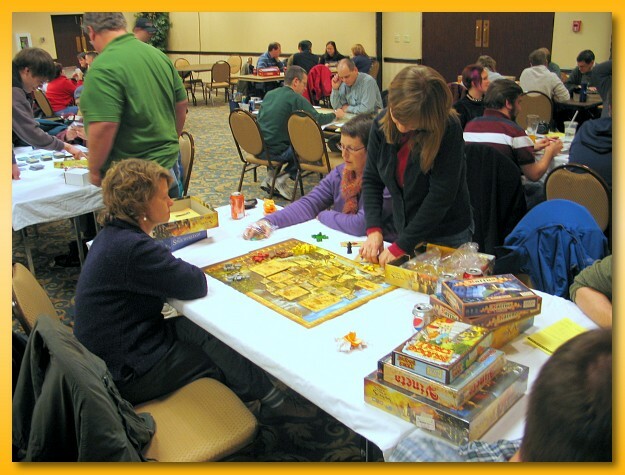 This year my wife was invited to play some games with two other women, so we went together and played a foursome of Dice Town but then while they played The Speicherstadt I teamed up with Jared and Bill to play Kingsburg. 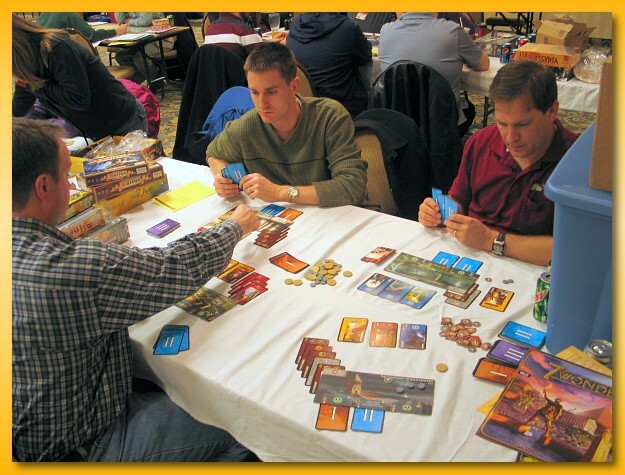 After Kingsburg, Bob, Bill, Jared, and I played two back-to-back games of 7 Wonders. I plan on a full review of the game but I do like it. It’s fast and supports up to 7 players! And to boot, it’s one of the few games that doesn’t add more time to the clock for every player you add. 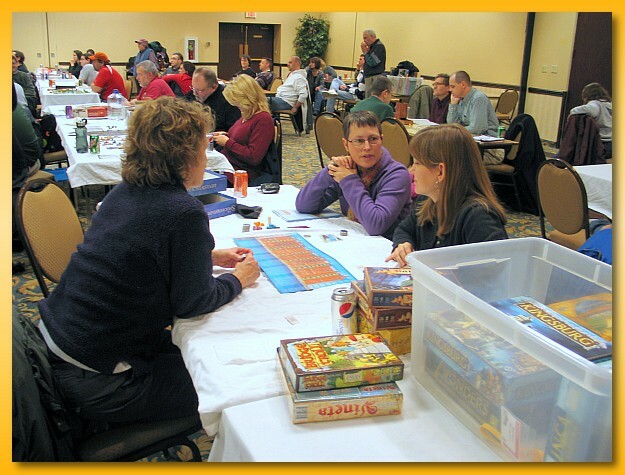 At the other end of the table, Lisa played Castle For All Seasons, a worker placement game similar to Stone Age but with a simultaneous action selection from a fixed hand of cards that reminds me of Mission: Red Planet and Kreta. Broke the shrink on my own copy of Kingsburg and the To Forge A Realm expansion today. I was taught the game at GLG 2010 but thought I’d crack open my Secret Santa’s gifts and read the rules for myself. 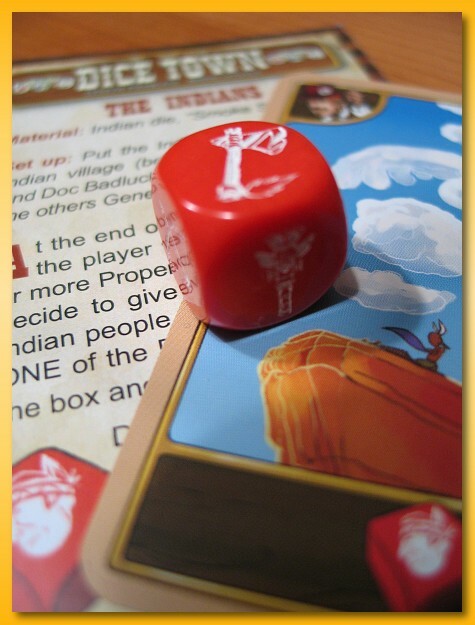 I traded away a copy of Red November for a copy of Dice Town: The Indians. I really didn’t like Red November and would have taken a box of dirt for it but as luck would have it, I got an awesome trade offer for a relatively rare expansion to one of my favorite games, Dice Town. The Indians expansion is composed of a single General Store card and a custom die. Not much, granted, but the collector in me really wanted it (only about 100 people claim to own it on BGG) and I thought it might spice up the game a bit. 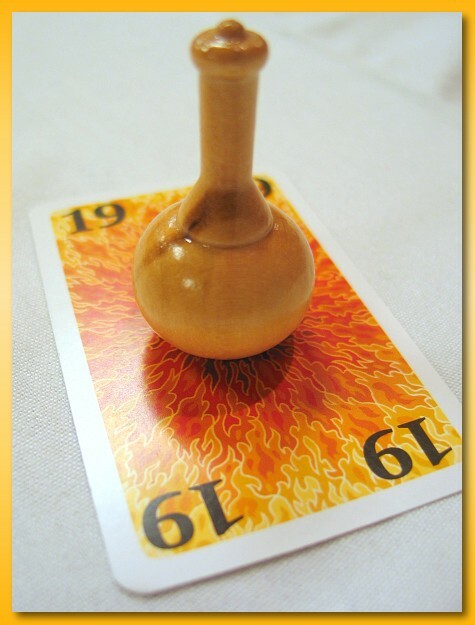 The die is optionally taken by the player that won the best poker hand but can only be taken if they opt out of one of the cards they won that round (the card is out of the game). 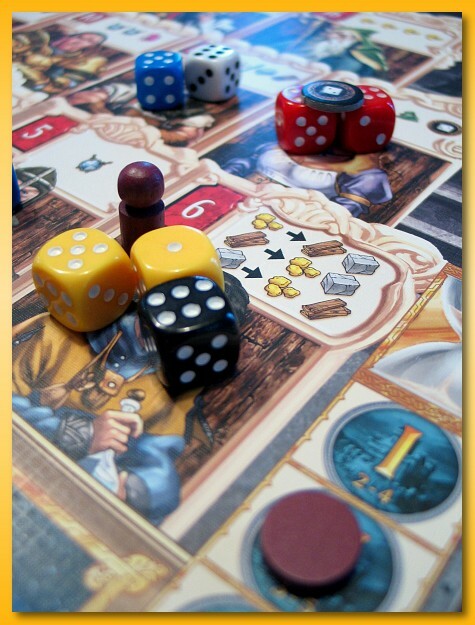 Then, just before the gold nuggets are paid out for 9’s the following round, the player rolls the die and gets to cough up some chaos depending on which side of the die is face up. There are four options: Shaman’s blessing (2) – Flip one of your own die to a side of your choice, Ambush (2) – Force an opponent to reroll a die of your choosing, Warpath (1) – Put the die on a location preventing it from paying out this round, and Bodyguard (1) – Prevents you from being robbed by the Queens this round. The General store card allows the owning player to steal the Indian die just before the beginning of the following turn. 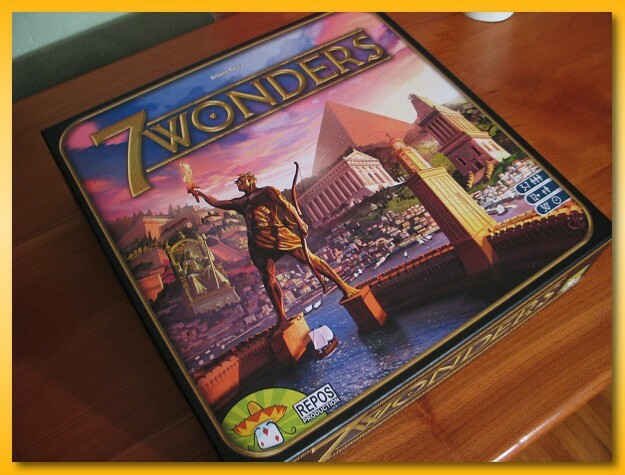 And….my preordered copy of 7 Wonders arrived today. 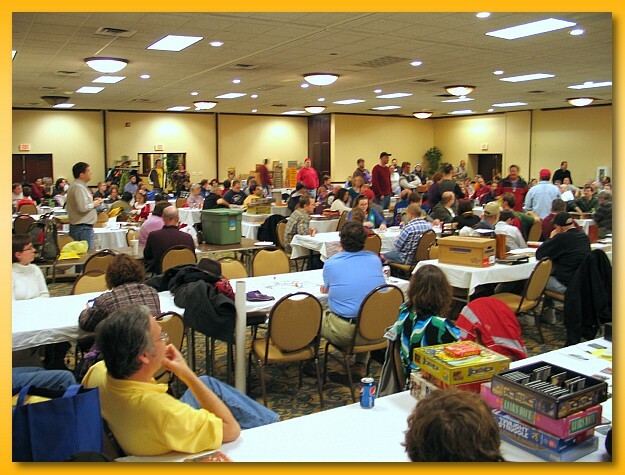 I’m really looking forward to playing this again after the fun I had playing it at Great Lakes Games 2010.